Assess your lean maturity using an S A Partners simple self-assessment: In partnership with M2030 bee. For a long time, we’ve been at pains to explain that the real sustainable advantages from applying lean thinking isn’t related to what tools you use, or the myriad of acronyms that accompanies lean, they come a focus on aligning your purpose, processes and people. A Lean Scorecard Maturity Assessment is one way to gain a better understanding of your business operations and to identify a roadmap for improvement. This approach can be as relevant for a specific team, as it can for a department, or a whole organisation. The image below shows the areas of focus for the assessment i.e. Purposes, Process and People along with the improvement journey from a ‘Reactive’ state, through ‘Proactive’ to ‘Excellence’. 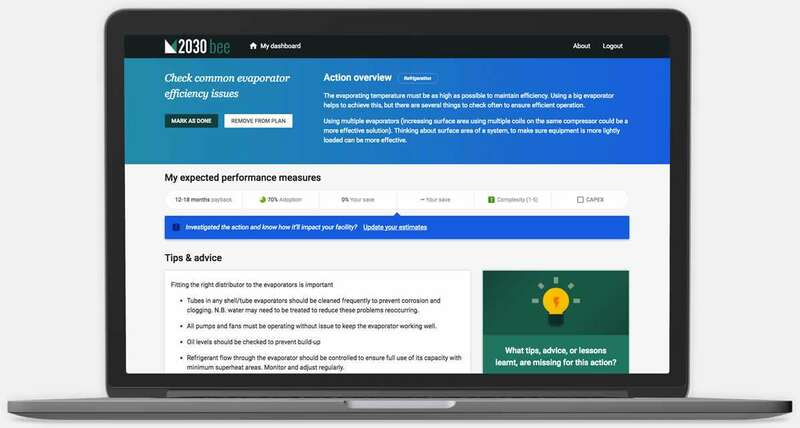 We’ve now partnered with M2030 bee to provide one of our lean maturity self-assessment framework online for you. What’s M2030 bee? Get a free two-week trial and see for yourself. “A significant challenge all businesses face is knowing where to place time and resource. However, m2030 bee goes a long way to minimising this issue, as the Return on Investment and complexity data gives us an informed, indicative picture of what we need to concentrate on. This enables us to feel confident in placing more resource in projects which look more successful – saving us time, resource and money.” Wayne Hodges, Engineering Manager, Freshtime Foods. Use the project support pages in bee to get real tips, advice and lessons learnt from fellow manufacturing practitioners. Build your business case using case studies, industry data, and also the side benefits to a project, the opportunity costs, and the risks. Effortlessly track progress using on your dashboard. Get suggestions for new actions; track outcomes, and use as a powerful internal engagement tool to build support and recognition of your efforts. 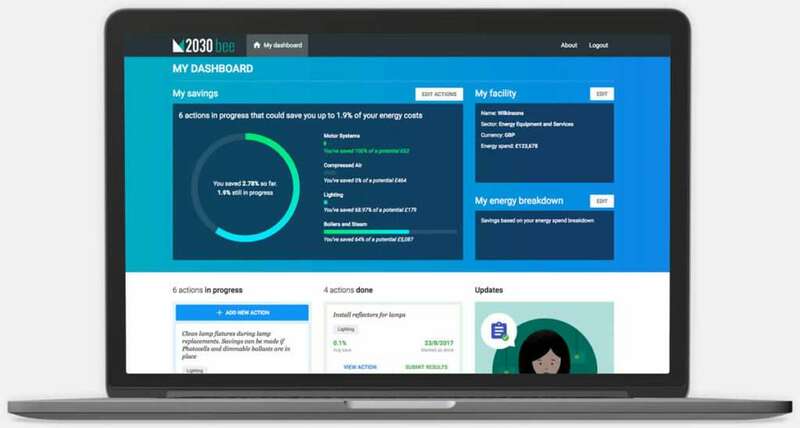 This example of S A Partner’s unique Lean maturity self-assessment is the first ‘operational excellence’ project listed in M2030 bee – sitting alongside hundreds of energy efficiency projects. 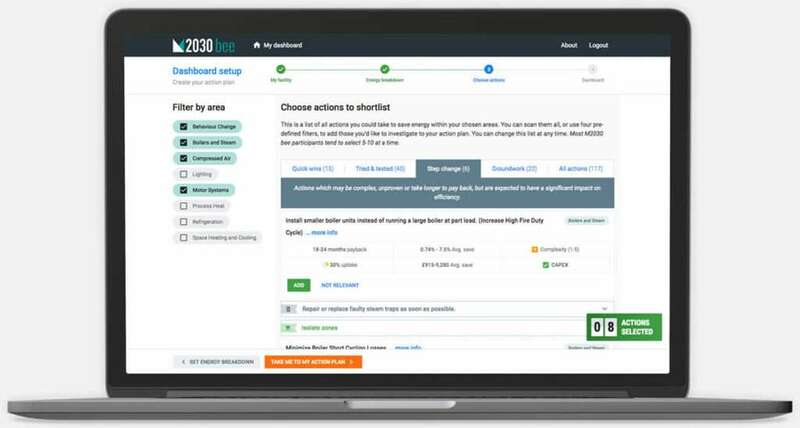 If you’d like a short demo of M2030 bee – simply email the M2030 bee team. You can have a free two-week trial, which includes access to the maturity assessment and all the other projects and data inside. If you’d like a more detailed assessment and route map development, please contact Jeff Williams at S A Partners direct. Check out the video, or watch the recent interview by the Telegraph Online reporter Alastair Greener and Martin Chilcott – CEO for M2030 bee.